Graffiti is a form of modern street art, leaving its roots in the distant past. Many critics argue that cave paintings found in the caves of primitive men, there's nothing like the emergence of this kind of creativity. In order to become a graffiti artist, you don't need to understand art or have any art education. All you need for self-expression is a pair of cans, the fantasy and smooth vertical surface. 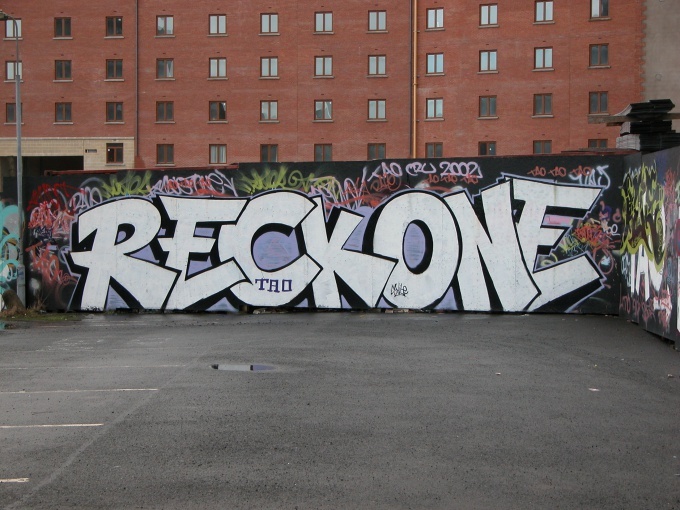 Concepts of plagiarism in graffiti does not exist. So you have to stock up on paper, pencil and patience to create your own original sketch. In graffiti there are no special criteria in the selection of the plot – the basis for your image can be anything – ranging from famous quotes, ending with an image of a loved one. For creating the sketch you can use the computer program Adobe – Photoshop, Freehand, Illustrator. When the sketch is done, you can proceed to coloring – selection of color combinations for your future drawing. To search for the best options you can use the "color wheel" or be guided solely by his own taste. In order for your picture to look the best, should pay special attention to the choice of paint and the surface that will be applied to the image. Not worth to save to buy a cheap paint – these cylinders often leave unattractive smudges while drawing and quickly fail. Before buying, always check the expiration date and the working condition of the spray – paint should be evenly distributed when you press down on the cap with a medium force. In order to achieve the best appearance of graffiti, it is desirable to use a smooth vertical surface. Otherwise, you will need to Prime with an uneven wall surface. Not to mention that drawing on public facilities is regarded as vandalism rather than an act of art. Don't neglect protection – always use a dust mask and disposable gloves. Choose a good time for drawing. Cold and windy weather - not the best assistants in this case. The first step in creating graffiti is transferring the sketch onto the wall. Then you work with the background and drawing of contours. And only after that you can go to the detail of the image. In order to avoid streaks, you need to learn quickly to work hand without stopping. At first, it will work out hard, but practice your lines and fills will be perfectly smooth. After your picture is finished, don't forget to put a "tag" - a kind of "autograph" of graffiti fans. It is considered good form in the medium of street artists. If you encounter stains never try to instantly get rid of them. Wait until the bruise is dry, and only then paint it the appropriate color.